In 1839, after decades of conflict, the Russian army and the Muslims of Chechnya are on the verge of a truce. To prove his commitment to peace, warrior chief Imam Shamil offers a hostage: his son Jamal Eddin. But once the truce is signed, the Russians spirit Jamal Eddin back to Russia, where Czar Nicholas “adopts” the boy. Immersed in imperial court life, Jamal Eddin matures into the consummate courtier. 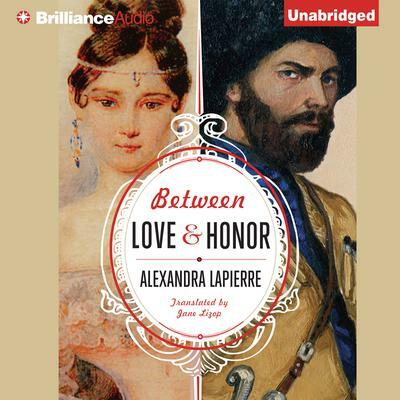 Still he maintains his Muslim faith — until he falls in love with a beautiful Russian aristocrat. To marry her Jamal Eddin must convert to Christianity, a sacrifice he is prepared to make. But his devotion to his bride will be pitted against his duty to his homeland when Jamal Eddin is called to take his rightful place leading the Muslims. Based on a true story, this sweeping historical novel chronicles the coming-of-age of a young man torn by impossible choices wrought by love and conflicting loyalties.